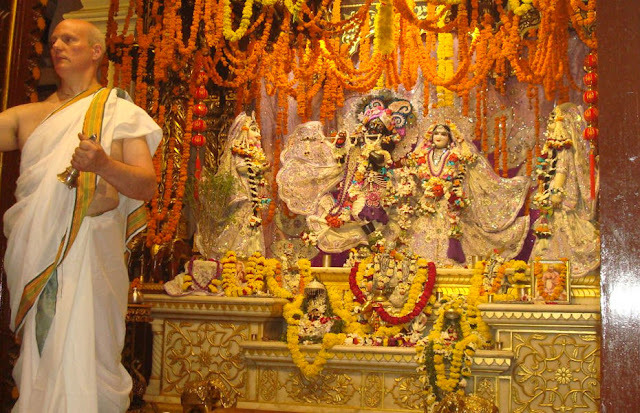 Our Dear Head Pujaris at Krsna-Balarama Mandir ~ The Toronto Hare Krishna Temple! Our dear and beloved head pujaris (priests who perform worship services on the altar), Brahma das and Sathvathanu devi dasi are currently traveling in India. Their travels mark the first time they have left the country in many years; their full focus on the daily care of our beautiful Deities has meant that traveling has been out of the question. 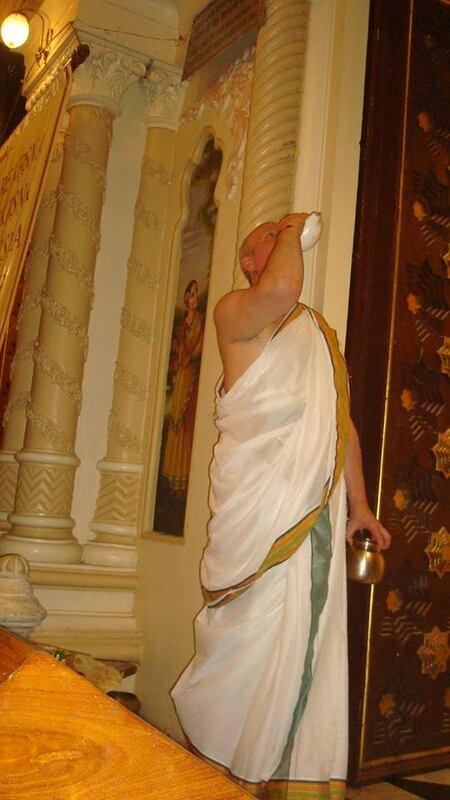 So it was with great excitement that we heard (and then came across pictures) of Brahma prabhu performing an arati ceremony in the world-famous Krsna-Balarama Mandir in Vrndavana! 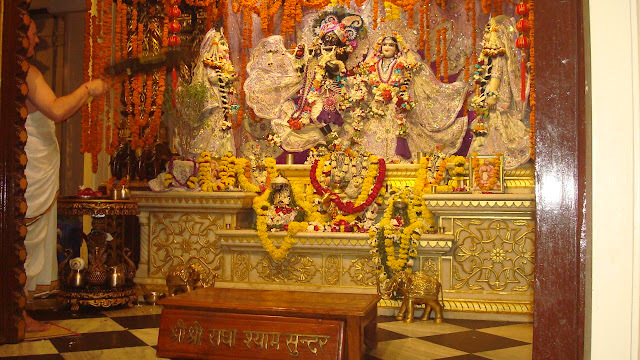 Check out the pictures below and be sure to leave a comment at the bottom of this post expressing your appreciation for our two wonderful head pujaris as they spend time in the holy and sacred land of Vrndavana! We will try to forward your messages to them. 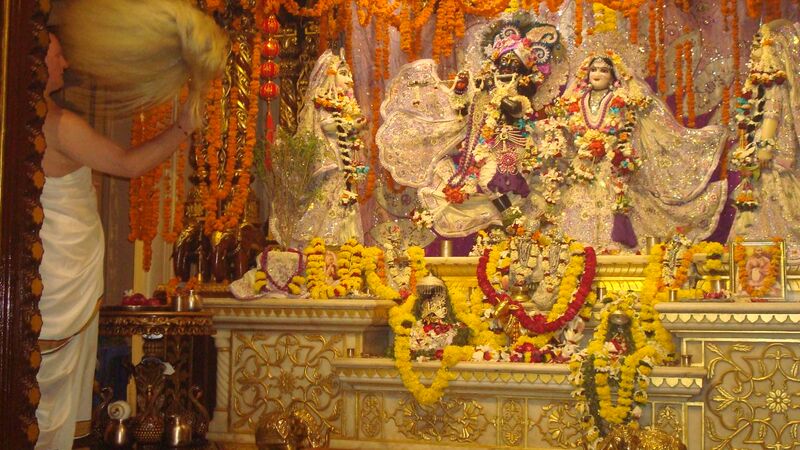 These 2 great souls are not adequately appreciated for their continued service to Sri Sri Radha Ksirchor Gopinath. 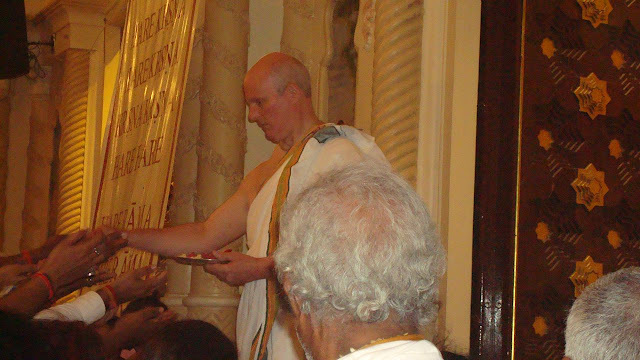 What a wonderful opportunity for Bramha Prabhu. 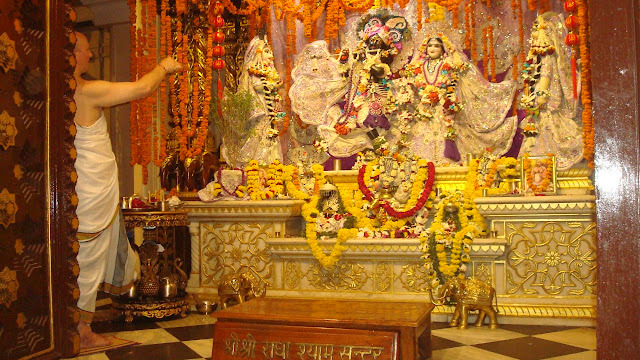 Jai! 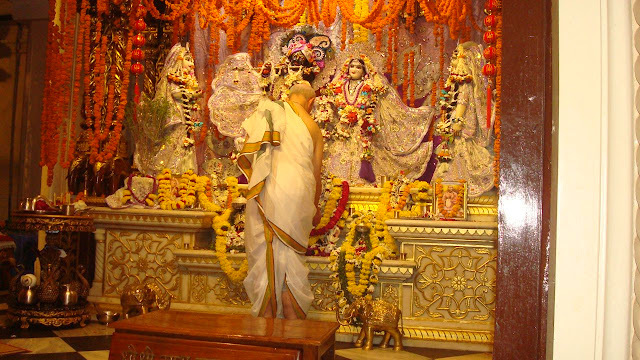 All glories to these devotees and their service. 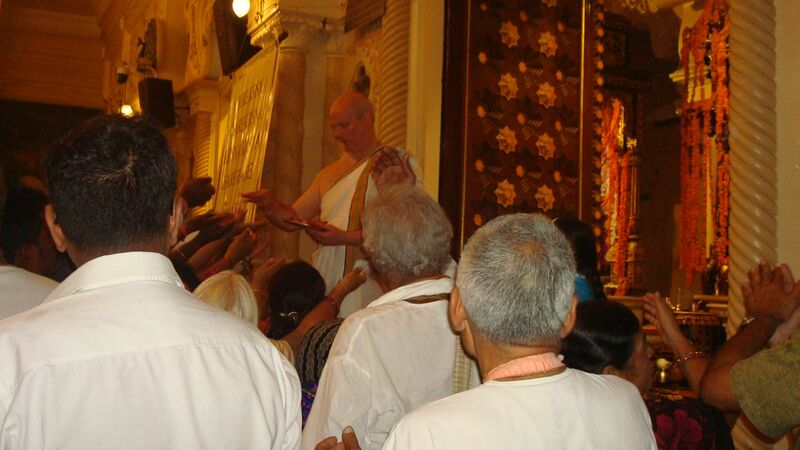 Yes, both Brahma and Sathvathanu Prabhus are very dear devotees and we all share the happiness and excitement that they are enjoying their travels to the holy dhama! Hare Krsna! I also feel that appreciation should be given directly and doesn't need to be anonymous , love you Mother Satvatanu, thank you for taking care of all of us .